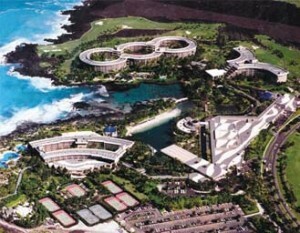 It’s my great pleasure and honor to invite you to the 52nd annual meeting of the Weed Science Society of America to be held February 6 to 9, 2012 in Waikoloa, Hawaii at the Hilton Waikoloa Village Hotel. Waikoloa is on the Big Island of Hawaii near Kona and, even if you attended the last WSSA Hawaii meeting in Honolulu, the island of Hawaii offers completely different experiences. The WSSA Board of Directors visited Waikoloa in July and I can only say, wow! This is a beautiful site for our meeting. As if the opportunity to visit Hawaii in February was not enough, Program Chair, Rod Lym, and Program Vice-Chair, Jim Kells, are putting together a great meeting, with some new twists, where you will hear and discuss the latest weed science research results, network with research, teaching, extension and industry weed scientists from around the world, and enjoy the fellowship of our Society.